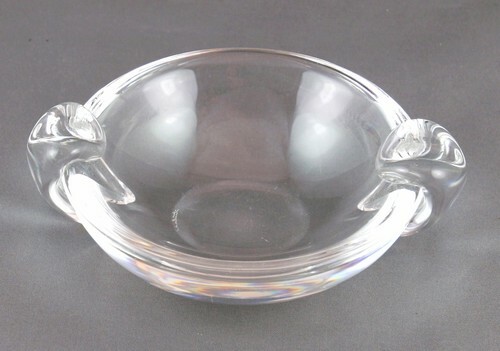 Steuben ash tray, style #7836, signed. It measures about 5 1/2 inches wide by 1 3/4 inches high. Very good condition, with light scratches on base.